MBBS in China for Pakistani Students is an attractive passion only due to an increasing rate of potential international students for to study medicine. China is one of the hoariest civilizations in the world having a written history of more than 4,000 years, rich culture and a respected educational custom. That tradition continues to this day, especially in the field of medicine. In order to guarantee a high-quality and standardized educational experience for international students, the Chinese Ministry of Education (MOE) first published the ‘Interim Provisions for Quality Control Standards in Undergraduate Medical Education’ in English for international students in 2007.It is now reviewed and published annually. It lists the 49 medical schools which have been authorized by the Chinese government to accept international MBBS students. MBBS in China for Pakistani Students 2019, 2020 is a growing trend due the global medical prospective students increasing interest. NICE Consultants (Pvt) Ltd., is recommend for to advise and gesture you a secure and excellent prospective university for your MBBS studies. There are two types of Universities offering MBBS in China, Listed & non-listed. Listed medical universities offering MBBS directly in English medium, while non-listed offering in bi-lingual, Chines and English medium, whereas its required to qualify Chines Language Course prior to start medical studies. This Chines language Course is just a Cultural studies and prerequisite of medical studies, while medial studies medium of instruction is English. Only F.Sc Pre-Medical /or A- Levels qualified student can apply for MBBS in Chines Medical Universities who keep minimum marks 60%. Age limits for MBBS in China is between 18 and 24, but China Medical University , but some medial universities can extend it to 30 years old. To get admission in any University in China passport is not necessary but you must arrange it ASAP. 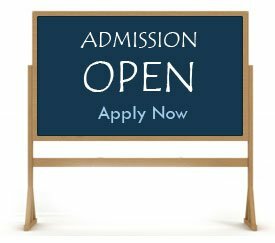 A common question is asked by prospective medical students and their parents prior to join any medical university about to decide One-of-the-Best choice. In Usual practice, every student counselor advise any specific university to join MBBS & BDS in China, even sometimes Only-One to chose, but at this point there is very sensitive and important issue occurs that’s about to decide one’s Future and there is no way to lead it to Only-One-Choice. We at NICE Consultants (Pvt) Ltd., offer our services based on experience since 1990’s , which leads to offer you a variety of different well experienced medical universities for the prospective MBBS & BDS students in China. 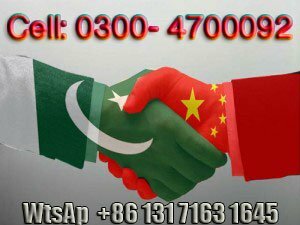 Every year we review and update our priority list to chose the best medical universities in different regions of China that’s compatible to the Pakistani potential students needs, like best studies, climate, halal food, living and suitable environment, specially for girls. We at NICE Consultants (Pvt) Ltd., publish recommended medical chines universities with our special codes like NICE-1301, NICE-1302,.. . NICE offers experienced-based services at very low cost, which can be acquired by contacting us at your early priority. Hopefully, students and their parent must ‘Hire-at-Counseling-Fee’ of their choice to get best services for prospective medical studies in China. We at NICE Consultants (Pvt) Ltd. Est. Since 1991, offering our services at very reasonable cost. We at NICE Consultants (Pvt) Ltd., based in Lahore-Pakistan, charge only our consultancy charges while university fee is payable at arrival in china at university office. To pay our consultancy changes, you can have any of your convenient way like, visiting at our office in Lahore, by Bank-to-Bank, Mobicash, Payoneer, Skrill or we can arrange our services at your place at extra cost. We at NICE Consultants (Pvt) Ltd., have provided entire medical studies information free-of-cost at this website, pleased to welcome you to offer our experienced-based services at optimum level. You’ll have to register with NICE for to process your admission application. Send the scanned copies of Matric/SSC/O-Levels/ Marks sheet/Certificate. Send the scanned copies of Inter/F.Sc / A-levels Marks Sheet/ Certificate. After receiving Consultancy Changes we’ll provide your a list of the recommended medical chines universities to chose any three of them, whereas we arrange admission mini in two of them, while you may process to any One for to join. After getting admission acceptance/ letter we process your visa letter (JW202) from Ministry of Education China (MOE). This process can take 3-4 weeks in usual practice. We required the further documents for to apply JW202 , While a check list will be sent to you along your admission letter. You’ll have to get Tick to fly for your studies in China (approximately cost Rs.55,000/-). You can pay by visiting our Pakistan office or by Bank-to-Bank, Omni, Mobicash, EasyPesa, Payoneer. Contact to get Bank Details for Online Payments. Remember that you will have to keep minimum 60% marks in F.Sc (Pre-Medical) for to study MBBS in China, there is no other way. This is because all the Chines Medical Universities’ degrees are recognized here in Pakistan, but to go for practices as a Doctor, you’re required to qualify PMDC exam and their criteria is mini 60% marks in the F.Sc (Pre-Medical). There is NOT ANY Chines University which is exempted for PMDC exam, all students who qualify MBBS from any Chines University will have to appear in the PMDC Exam to get Practice License being a Doctor in Pakistan. Before joining any Chines University you may apply for NOC from PMDC. We have few seats to admit the students, while received lot of applications for to get admission. Don’t Daley : Apply in Times and Reach at your prospective medical University in Time. We have only ONE Admission Office located in Lahore, NICE Consultants (Pvt) Ltd., working Since 1991. 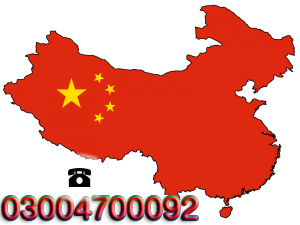 Admission process in MBBS in China has been started, You must send your educational documents immediately to find a place in the MBBS from China at a University of your choice. M/s NICE Consultants (Pvt) Ltd.
—-“Duly signed by M.S. of Govt. Hospital and attested by Foreign Office…. Low cost and Bilingual Medical Universities (Chines & English Medium) for MBBS in China for MBBS studies recognized by WHO. Entry Test (Required)Hight priority support! MBBS in China for Pakistani Students 2019, 2020: Top growing reasons…. 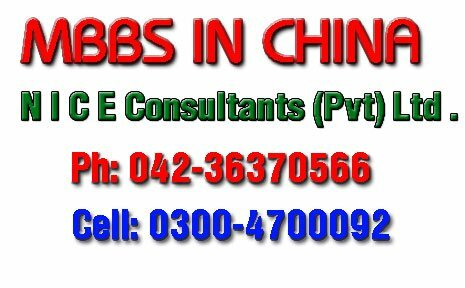 MBBS in China for Pakistani Students 2019, 2020: is Suitable for any medical licensing examination..
MBBS in China for Pakistani Students 2019, 2020 is a growing rapidly because, The 49 approved medical institutions are public universities under the Chinese Government. Entire listed in the World Health Organization (WHO)’s “Directory of World Medical Schools”. This listing shows that graduates are eligible to attend national medical screening tests like; MCI, PMDC, USMLE, PLAB, HPCSA, SCHS, etc. This is an attractive passion for Pakistani students to acquire a MBBS Degree from china. 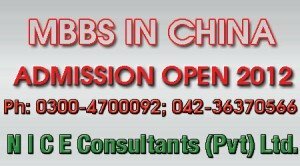 MBBS in China for Pakistani Students 2018, 2019: is attractive due to become a Graduate with a Globally Recognize Medical Degree…..
MBBS in China for Pakistani Students 2019, 2020: is attractive because mostly Chines Universities gain Top 500 rank with western higher education in medicine…. 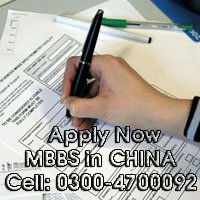 MBBS in China for Pakistani Students 2019, 2020 is a growing rapidly because, many China’s medical universities are ranked among the top 500 universities in the world and highly reputed for being at the forefront of the field of modern medicine. Moreover, English-medium MBBS programs have been taught for years, and there are now lots of graduates pursuing a further education in China or being a doctor in their own country. Also and attraction for MBBS in China for the Pakistani Students 2019, 2020. MBBS in China for Pakistani Students: is attractive due to Plenty of quality hospitals for internship…. MBBS in China for Pakistani Students is a growing rapidly because, entire approved China’s universities for English medium MBBS must meet minimum standards set by the Ministry of Education. The affiliated hospital where students undertake internships must be with the tier of Grade III, Level A, which have the most advanced international-standard medical instruments and also lots of patient beds. As well all know, China has the largest population in the world. So, the medical market of China is under development , it growing rapidly to become one of the world’s largest medical markets soon. Now, MBBS in China for the Pakistani Students 2019, 2020 is raising. 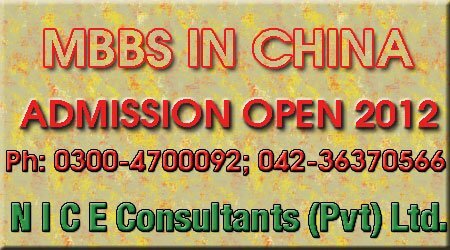 MBBS in China for Pakistani Students 2019, 2020 is attractive due to Interesting and satisfying campus life. MBBS in China for Pakistani Students 2019, 2020 is attractive due to Study in a society with excellent public security. MBBS in China for Pakistani Students is attractive due to Explore the long-standing history and intense culture. MBBS in China for Pakistani Students is attractive due to Submersing students into an international studying environment.